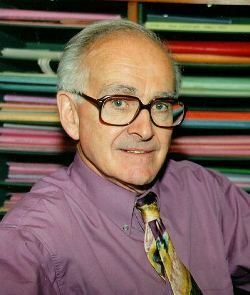 Robert Faurisson, a French and British dual citizen, was born on January 25, 1929, in Shepperton, England. As a boy and young man, he attended schools in Singapore, Japan, and in France. He was educated at a Lycée in Paris, and at the renowned Sorbonne. He received his "State Doctorate" in letters and the humanities from the Sorbonne in 1972, where he also taught from 1969 to 1974. From 1974 until 1990, Faurisson was a professor of French literature at the University of Lyon II. He is a recognized specialist of text and document analysis, and is the author of four books on French literature. After years of private research and study, Dr. Faurisson made public his skeptical views about the Holocaust extermination story in 1978. Since then Dr. Faurisson has presented his views in numerous articles, interviews, and in several books. A four-volume collection of many of his writings, Écrits Révisionnistes (1974-1998), was published in 1999. Dr. Faurisson worked closely on the French revisionist quarterlies Annales d'Histoire Revisionniste and Revue d'Histoire Revisionniste. Faurisson played an important role in both the 1985 and 1988 “Holocaust trials” in Toronto of Ernst Zündel. For his revisionist writings Faurisson was brought to trial numerous times and convicted to pay fines, but so far he never had to serve time prison time.